People may not know this, but becoming a boiler operator is growing increasingly complex, so boiler operator training is more crucial into entering that profession. 1 Here is some more information about what you will learn and what being a boilermaker entails. What Is a Boiler Operator? Attention to Detail: Boilers are complex pieces of equipment. They have multiple gauges, meters, and other parts. 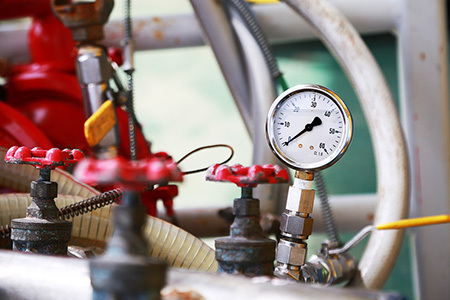 Boiler operators must carefully inspect and test this equipment. They’re responsible for making sure it operates correctly and repairing or replacing parts when there is a problem. Steady Hands: Good hand-eye coordination and a steady grip is important. Boiler operators use a range of different types of tools to work on the various parts of boilers. Mechanical Skills: Boilers are machines. Boiler operators must have a good understanding of mechanical principles. They spend most of their days using tools to work on machines. What Do You Learn in Boiler Operator Training? The Refrigeration School offers an electro-mechanical technologies program that can prepare you for entry into the boiler operator field in nine months. The program teaches students about electrical and mechanical technologies. They also learn about the principles behind how heaters, air conditioners, and ventilation and refrigeration systems work. What Boiler Operator Jobs Can You Get after Training? Demand for boiler operators vary from state to state. If you are wondering where the need is highest or what kind of pay is offered in each region, you should check with web sites like the Bureau of Labor Statistics, or if you are considering vocational training, check with the school career services and find out where the job leads they come across. If you’re interested in becoming a boiler operator, then vocational training is one increasingly common path to this career. Programs can be completed in a relatively short period of time, allowing you to start your career sooner.